Over the six-day DUI crackdown conducted over the 2015 New Year’s Eve (NYE) period in Colorado, nearly 400 people were arrested for allegedly driving drunk, according to the latest data from officials at the Colorado Department of Transportation (CDOT). Colorado Springs PD, with 23 DUI arrests. Interestingly, although the 2015 NYE period netted a high number of arrests, it did reflect a nearly 12 percent drop in the arrest rate, when compared to the New Year’s Eve arrest data from 2013. And this promising decline seems to be support a larger trend in Colorado, as we have recently reported that DUI arrest numbers for the 2015 Thanksgiving Day period and Holiday Office Party crackdowns also reflected remarkable drops in the drunk driving arrest rates (when compared to the arrests made during these periods in prior, recent years). The New Year’s Eve DUI crackdown is one of 12 major enforcement periods that comprise CDOT’s The Heat Is On anti-DUI program. While these enforcement periods are scheduled to coincide with festive holidays, like July 4th and Labor Day (when impaired driving usually increases), various local law enforcement agencies throughout Colorado are still running heightened DUI enforcement campaigns outside of these targeted periods. In fact, currently, a dozen agencies in Colorado are running increased DUI patrols and/or saturation patrols through January via LEAF funding. Detailed enforcement plans associated with these patrols are available here. You are only obligated to tell police your full legal name. Aside from that, you have the right to remain silent, and doing so can be an effective way to avoid giving police more possible evidence of impairment against you. You have the right to refuse field sobriety testing, and exercising this right is another important way to avoid giving up potential evidence of impairment. If you refuse BAC testing, your driver’s license will be automatically suspended. If you are arrested for DUI, contacting a Denver & Boulder DUI attorney at the Griffin Law Firm can be your best move for protecting your rights and effectively defending yourself against various types of DUI charges in Colorado. 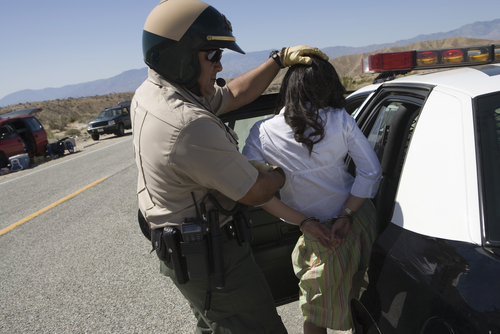 Have you or a loved one been charged with a DUI offense in Colorado? If so, you can turn to the Denver & Boulder DUI lawyer at Griffin Law Firm for experienced help and the best possible defense. With more than 18 years’ experience in the criminal justice system, our attorney understands the complexities of the system, the challenges different defendants can face and the best ways of overcoming these challenges to bring criminal cases to successful resolutions.